@ThePoolshark so, just so we dont get this closed a 3rd time lol, we can talk about what we saw on reddit, correct? Just not post anything linked to the datamined files?? They robbed me once in the last game by not bothering to slap some bots in ALL the DLC maps. So greedy and lazy. As great as the new one looks, I will not buy it if it only has partial skirmish on just a few maps. The single player campaign will no doubt be short. That is a joke. Only complete Skirmish (ON ALL MAPS, IN ALL MODES) can make it worth a buy. Otherwise I'll snag it in the bargain bin for $20.00 like tons of others in 2018 sometime. This is what I have always wanted, that and ground to space battles WHICH WILL NOT BE AVAILABLE IN THIS VERSION. Tired of the promises that will be in the next game. Technically it was by the cancelled Star Wars Battlefront 3 by Pandemic, which was shown from alpha videos as a working concept. However, instead on pushing the series forward, Battlefront 2015 took a dozen steps back with only 4 world, boots on the ground only game (with some tacked on starfighter combat), and online only. With this one, they seem to be catching up to what the original Battlefront 2 offered, but still seems that it is not on that level yet, because there is so much that fans wanted is not explained. 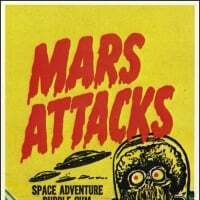 As for ground to space battles, that should be in the game, make it much more fun and immersive. Is their technology even capable of rendering such a trip without a loading screen. I think it would be a massive undertaking to go from the ground to outer space on the same map. I saw that they had it working with a nice transition from the alpha footage on youtube, but the maps sizes where exaggerated to be smaller so you can reach space much more easier.They also wanted 100 players in the game to populate the maps, which sounds awesome and makes sense, since the maps would have been bigger than any of the older maps. My point being, that is the starwars game I wanted to play in 2015, which was working as an alpha as cancelled Battlefront 3, but we keep getting the same games and game types that every other MP game essentially has, with vary minor details. Feel free to discuss it on Reddit, but be aware EA can still action you if they can link you to an account and feel like doing it. That or you just take your hate of anything singleplayer too seriously? Can ban me all you want but it will not stop me from speaking the truth. I answer to a higher authority that actually works for EA. Yea, you caught me. My disdain for singleplayer transcends that of the NDA which is still in place. Please do discuss the embargoed information since it means so much to you. Everyone else will get banned, but since you caught me on my obvious hate for offline content, you get a free pass. Edit: Outside of this blatant sarcasm, I will ban you from here for discussing any content found in the alpha regardless of who you know. If it happens to get me yelled at, so be it, I will quit knowing I went about it the correct way, and you will still be banned for being incorrect. If there really is an NDA about this than can you please show us a link to it so we can read and understand every bit of it ourselves? Because just talking about it doesn't actually prove it exists. Nope, I won't link it because it is in a section you don't have access to, but here is the main gist boiled down to a sentence. Everything in the alpha is under embargo until the game launches. There is actually no rules against discussing leaks in the Forum Guidelines. Also, as we are not participants in the Alpha and thus did not sign any sort of NDA, nor are we responsible for the leaks, the NDA should not apply to us. what u mean is that changes of alpha can happen including taking out/ adding more stuff until release ? If that is true than why don't you give us the proof about it? Just because you are the one saying it does not make it true and I will argue against it 24/7 until we see actual proof that supports your claims. As I said, feel free to go against what I said... the consequences will be on you as I already gave the information. Sigh...another skirmish thread, and yet another demonstration of just how unreasonable some members of this forum can be. Here we have a moderator straight up stating something was against the rules to discuss, and then we have people like Aryck-The-Illogical-One demurring them outright. You are a bold one. I'm starting to understand why some of you prefer to play alone. LOL, is this going to be the 4th thread discussing skirmish to be closed? 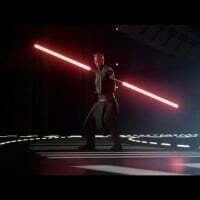 You're rivaling the threads requesting Maul to have block. At least these are more entertaining. Really? We all know you are the very reason the threads keep closing. I know you hate Skirmish and claim to love online matches better but I can assure you that them focusing only on multiplayer matches will not bring back the good times of playing with your friends in the same room like I did with a certain friend back when Pandemic's Battlefront II was the main game. Back when that friend of mine actually liked the Offline portion of the game instead of wanting them to focus only on multiplayer. That is what playing Battlefront is really about! Hanging out with your friends and maybe even creating crazy scenarios like what was supposedly leaked. 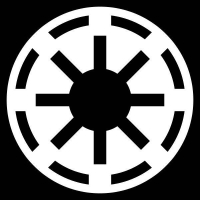 You can tell us not to talk about it all you want but we will take every shred of Hope we can get that their might actually be an end to the Multiplayer Only Empire and that the #SoloPlayersMatter Rebellion will have a chance at Victory. We will win this war. It is only a matter of time. PLEASE quit arguing with a mod (Pool Shark), right or wrong he has the right to close threads. 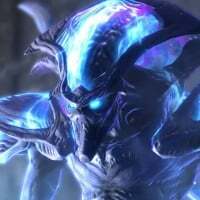 I really like having a thread to discuss the Skirmish/Offline co-op. @PoolShark Can you say when EA will officially reveal the content of Skirmish for Battlefront 2. Yes. Are you capable of at least telling us that? Or are we just wasting our breath? LOL. War? It's a video game, man. I think you're taking this a little bit too seriously. And besides, we already know which side will be receiving the most attention. Hey, that's the first sensible thing you've said so far! Keep it up with your insulting posts. They make me laugh! The look on your face when the Fantasy Battles mode turns out to be real will be worth all of it! What the heck is fantasy battles? And how are you so certain it's offline content? If it is hopefully it's more missions. I actually enjoyed 100%ING them. Silence your tounge heretic! 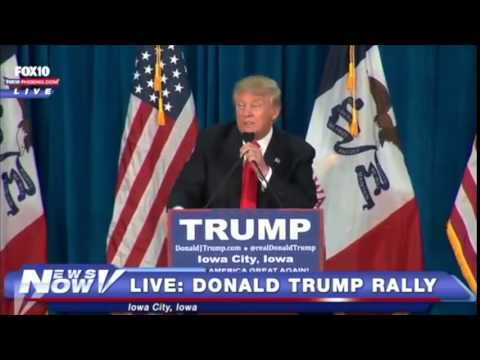 You shall say nothing on the Great Orange One!! Don't play dumb, I saw you posting in the Reddit thread about the info that we must not mention here. As for the missions, out of all the trollish things you've said, that one takes the cake. I refuse to believe that you are being serious about that. C'mon, admit it, you have to admit from everything you've read on Reddit, it definitely appears they are taking the offline component of the game more seriously this time around. You should be happy, more happy players means more positive reviews and more sales. More sales of the game means more multiplayer support. For players like me who want a good online and offline experience, it's a win win. Blazur doesnt care...he more Machine than Man now. I think towards the end tho he will realize what he has done is horrible and will sacrifice himself to throw Microtransactions down the reactor shaft....Blazur was predicted to bring Balance to Gaming. You clearly know what he's talking about. Why are you playing ignorant? You posted comments on that thread on Reddit asking for proof it it was legit. And it's funny, despite all your "Multiplayer Only For Battlefront Cause Multiplayer is Supreme" Speeches, you've actually claimed that you like Missions, both on here just now and on Reddit. Just come clean and admit that you have a soft spot for Singleplayer being included within the EA Battlefront Franchise, despite acting like you only care for Multiplayer. What happen to substantial-skirmish-mode-for-star-wars-battlefront-ii thread? Hey now, I enjoy SP and welcome a campaign or even more missions. Anything really that isn't lame skirmish. But I still believe people who buy this game for SP content are silly since that's just an offshoot of the main game. But if you want to throw your money at DICE so they have more funding to improve the MP then have at it. Just don't cry on the forums when you realize where their focus lies. EA has a set marketing schedule, and I won't be screwing that schedule up. OK that much I can believe. Anyways the sooner we get more actual news about this the better. And for whether or not there are Fantasy Battles "We will let the endgame decide. Who is right and who is not." So why are you so against them perhaps making bots available for Private Matches like what we are getting in this generation of Call Of Duty games? If DICE did that and kept the Campaign than everyone here would be happy! The COD developers do just fine making great multiplayer modes and making them all available offline as well so why can't DICE? It seems like EA/DICE will be giving out achievements for completing the Skirmish in EA's Battlefront 2 this time around, like with Missions before in EA's Battlefront 1, since players will be able to gain unlocks/xp/upgrades/customization options that they can then transfer and use in the Multiplayer. Also, with more Singleplayer Options being made available for EA's Battlefront 2, a whole new gaming audience will be encouraged to buy the game and then, more than likely, will go and try out the Multiplayer additionally, which will bring in more players to increase the player base and keep the Multiplayer going stronger for a lot longer. Thereby, more Skirmish and other Singleplayer Options in EA's Battlefront 2 is a good thing, for both the Singleplayer Crowd and the Multiplayer Crowd. Exactly, the single player audience and the multiplayer audience form a symbiotic relationship. Surely even Blazur realizes this. I'm personally a prime example. I used to only buy games and play the Singleplayer. Case in point, Grand Theft Auto and Destiny. But, after I played the Singleplayer, I decided to try my luck and give the Multiplayer a go in those games. And I got pretty good, getting top on the leaderboards in both games quite consistently. I also then found a love and an appreciation for Multiplayer and play Multiplayer games quite frequently on a regular basis. Surely, there are others like myself. If more people will buy EA's Battlefront 2 cause of more Singleplayer Options, I'm sure that many of them will try out the Multiplayer, which will add to the player count in the player base and will allow for the Multiplayer to become a lot stronger for a lot longer. Skirmish, an SP Campaign, and Missions are all good things to keep and add to in the EA Battlefront Franchise. And, Skirmish will have a reason to play now, as achievements can now be earned, which can be transferred and used in the Multiplayer. This is all good for us all. None of us ever signed an NDA. The forum guidelines say nothing about discussing leaks. I don't know who you think you're kidding. Sorry guys totally my fault the other thread was closed >_<' : / i sincerely apologise! dont make the same mistake: No posts about leaks / datamines. Yeah, thats why I think the "typical 4 hr Campaign" arguement wont work. Im think more of a 6-7 hour deal. That would be nice. 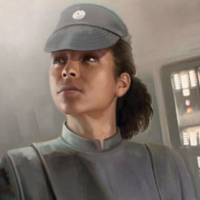 I also realized we haven't seen Iden in the First Order yet. Just the Empire. In all honestly, it would have been cool if they had made Captain Phasma Iden Versio. 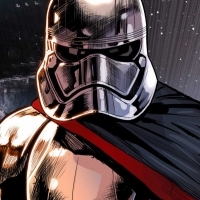 Imagine the awesomeness if Captain Phasma had started out as Iden Versio, a commander in the Empire, and later, over time, became the infamous Captain Phasma, which I assume is a Soldier Codename, of the First Order. A lot of potential for cool backstory and character development could have been there, rather than making the SP Campaign about a nobody who probably gets killed off later. 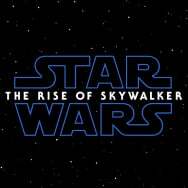 Regardless, I'm still excited for the SP Campaign and finding out what happened in that 30 year period between Return of the Jedi and The Force Awakens.